The very last day of the holidays before The Little Mister goes back to school. 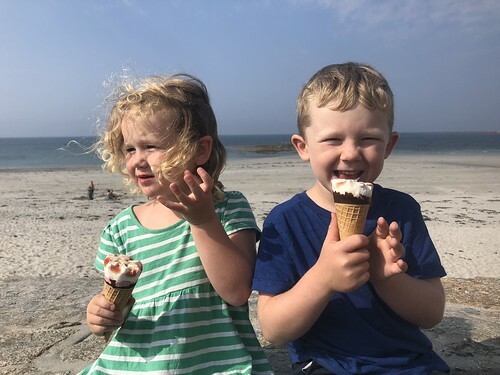 I treated the kids to an ice-cream at Richmond Kiosk and we spent a happy half an hour chatting to a lovely couple who are over on holiday. It made me laugh to see the kids happily chattering away to them whilst I was queuing for ice-cream. At some point I will have to teach them about Stranger Danger, but it is nice they can feel safe enough to talk to different people.